For those who are interested to earn extra money by generating electricity at home will be able to register online through e-FiT system at the Sustainable Energy Development Authority Malaysia (SEDA) website. The registration will be open to the public starting 1st December 2011 at 00.00 hrs. There will be a quota on the numbers of approved application, and it will be awarded based on first-come, first-served basis. For the public individual, the quota for solar photovoltaic (PV) system is 2.50 MW for half yearly. If each of the public individuals adopts to install 4kW, then the quota is 625 persons per half-yearly. FiT present applicants with an investment opportunity as they will be rewarded with lucrative rates. 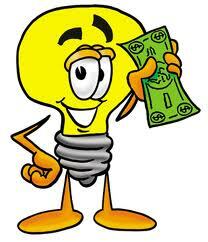 This post is an updates for “Earn Money by Generating Electricity at Home” article published earlier. Recently, Dewan Rakyat passed the bill on the Renewable Energy (RE) Act 2010. Under the bill, the Government is to implement the feed-in tariff (FiT) system. Under the act, a small-scale solar photovoltaic (PV) producer, such as households, could potentially earn up to RM1.75 per kWh of electricity produced by selling the power to Tenaga Nasional Bhd (TNB). Comparatively, consumers pay RM0.218 per kWh to TNB for the first 200kWh electricity consume per month. Under the FiT systems, TNB will buy all RE generated and pay a FiT to the generators, thus making it much more lucrative to generate RE power. Feed-in-tariff (FiT) mechanism under the Renewable Energy (RE) Act which is expected to be implemented middle of this year will enable individuals to earn income by selling electricity generated from renewable resources at home. The FiT system has, proven to be an effective and efficient mechanism to encourage the development of sustainable markets for RE around the world and Malaysia is heading to the same direction. Under the RE Act, the public will be able to sell electricity generated from RE to utility companies such as Tenaga Nasional Bhd (TNB) and Sarawak Energy Bhd at a fixed rate for a specific period. Consumers can install solar panel or photovoltaic system at home and it would be a secondary income for them.